A CardGamer magazine promo has been revealed, and it’s an unusual support card for Darkness Decks! 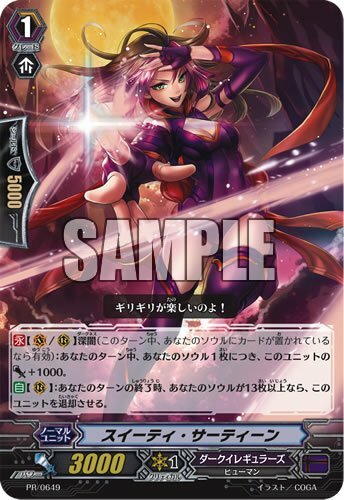 CONT (VC/RC) Darkness: During your turn, for every card in your Soul, this Unit gains Power+1000. AUTO (RC): When your turn ends, if there are 13 or more cards in your Soul, this Unit is Retired.